Memorandum of Incorporation | Why Use Online MOI? 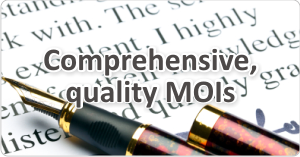 We offer you a comprehensive set of quality MOIs to choose from, ideal for your clients—big or small. Generate unique, customised MOIs. Online MOI actually drafts MOIs for you, in the prescribed form and tailored to the choices you made. Comprehensive, quality MOIs. Don’t take risks with a document as important to your clients’ good governance and continued existence as its MOI. We do all the hard work of staying on top of legislative and other changes—so you don’t have to. Changes updated immediately. All legislative changes and Practice Notes are updated in Online MOI immediately. Register to receive change notifications. Valid for 12 months. Amend your MOIs for 12 months at no extra cost. 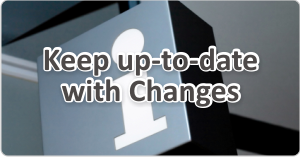 Incorporate legislative and client changes as many times as you need. Be super–productive from the start. 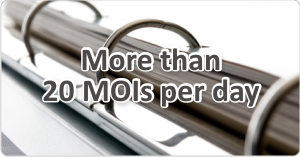 With Online MOI you can produce more than 20 MOIs a day. 100% coverage of the Companies Act. Use Online MOI to make sure every aspect of the Companies Act is covered in your MOIs, and protect your clients’ businesses too. Saves you time and money. Why waste time and money drafting your MOIs from scratch? Use Online MOI to produce each custom MOI in seconds. It’s a no–brainer!